What Happens at an ACW Driver School and Safety Seminar? 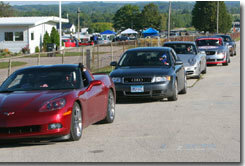 During an Audi Club of Wisconsin driver school, you will attend classes, participate in a number of driving exercises and have an opportunity to drive your car on the track. You will be assigned an instructor who will be with you throughout the weekend. You will have an opportunity to ride with your instructor in his or her car and your instructor will ride with you while you are driving on the track. The purpose of the school is to provide a safe, structured and controlled teaching and learning environment. The school program is designed so the participant can improve his or her driving abilities and acquire a better understanding of vehicle dynamics and driving safety. The number one goal of the school is safety. Throughout the two days, safety on and off the track will be stressed. You’ll have an opportunity to learn about your car and its capabilities and have lots of fun in the process.Road America is one of the premier road racing tracks in the world. It’s a little over 4 miles long and is located just south of Elkhart Lake. The track has 14 turns, with large elevation changes and one of the most famous corners (The Kink) in all of racing. While you are driving on the track, your instructor will guide you around the track. He or she will teach you the correct “line” around the track. Passing during the school takes place only on designated straight-aways (you’ll learn which ones during class) in a very controlled manner. The car being passed must point the passing car by. Only passes with points are allowed. Your instructor will help you work out when to pass and when to let someone else pass. Each day you will get four 25 minute sessions on the track. 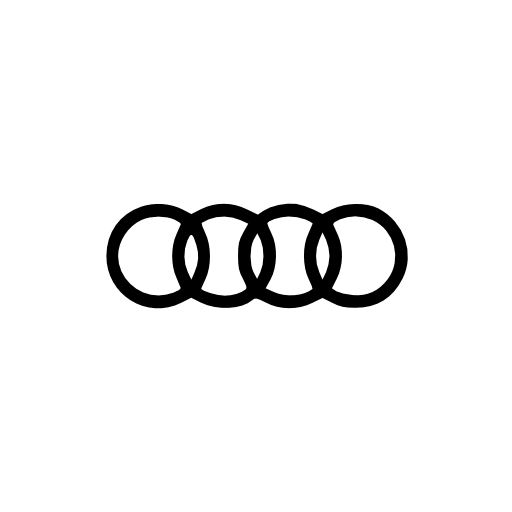 You do not need to own or drive an Audi to attend the school. You will drive your car during the event. Convertibles, SUVs, pickup trucks and vans are not allowed in the school. Your car must pass a tech inspection and should have tires with at least 5/32” of tread. New tires aren’t necessary and in fact you will find your car performs better with partially worn but not worn out tires. To prepare for the school you should also have your brakes checked to make sure you don’t need new brake pads. Tires and brake pads are the items on your car that will show some wear after the school. You will also receive other information about the event through emails. While there will be cars at the event that have been specifically prepared for the track, most of the participants will be driving their normal street cars. Some of the instructors will be driving their race cars. You might get a chance to ride in one of them. You will need a helmet for the event. Any time you are on the track, driving or riding, you must wear a helmet. Helmets must be Snell certified SA 2010 or newer or (M) specification 2010 or newer. If you want to buy a helmet, the best place in the Milwaukee area is Pegasus Auto Racing Supplies in New Berlin. You can try on different helmets to make sure you get one that fits. If you are going to buy a helmet it should be a full face design. Helmet costs start around $250. If you do not want to buy your own helmet, there will be helmets available at the track for you to borrow. While safety is the goal of the school, incidents do sometimes occur during the event. The only insurance that will cover you and your car during the event is your own car insurance. Our AWC driver schools are non-timed events but they do take place on a race track. Most, if not all, insurance policies exclude coverage for any type of timed event. Some polices also exclude coverage for events that take place on a race track. The only way to know what your policy covers is to read your policy.